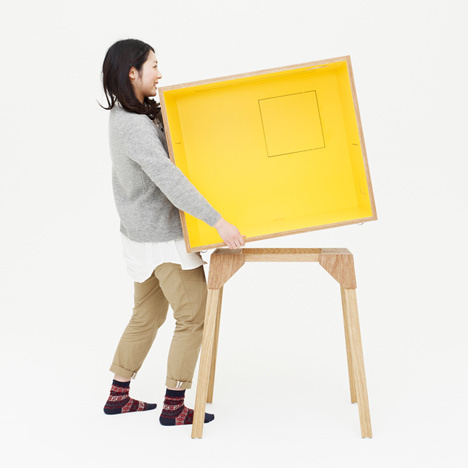 The Koloro Desk by Torafu Architect is a customizable work space. 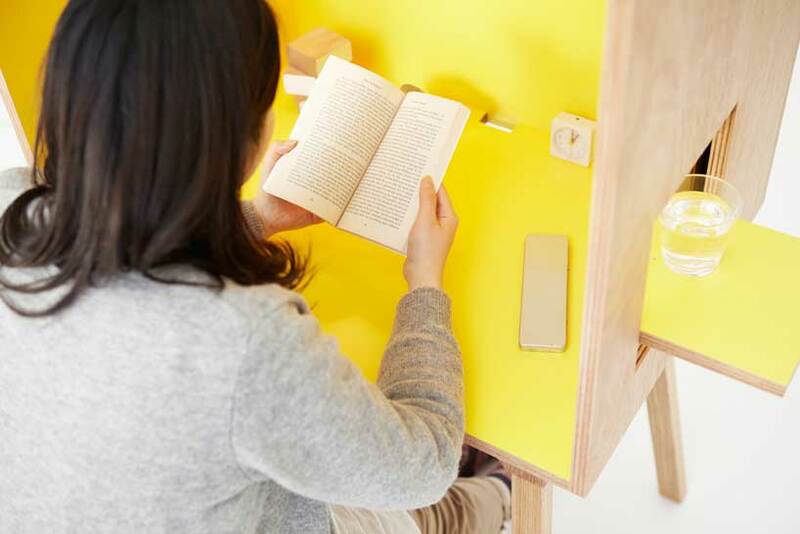 Designed for decorative plywood manufacturer Ichiro, it comes with windows in various locations so you may open and close them to adjust the level of privacy. Spoon & Tamago pointed out a similar concept by Kawamura Ganjavian but I think that’s where the similarity ends. 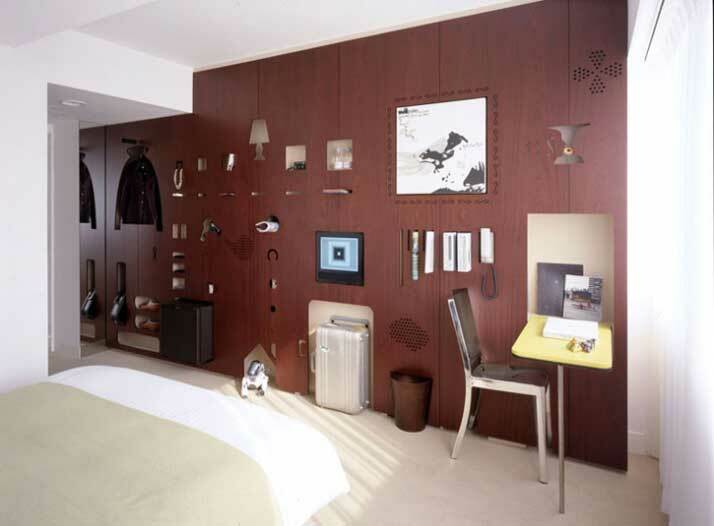 Looking at the pictures, you can see spaces allocated for a pot of plant, window sills that double up as shelves for display or storage. 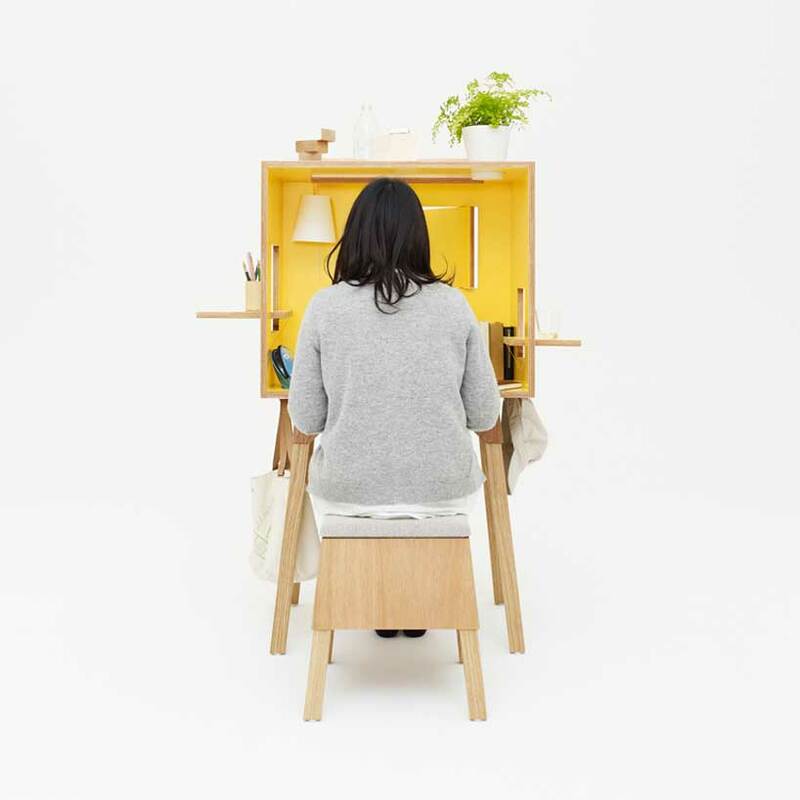 In addition, hooks for bags and cord management for computers are included by the thoughtful studio. 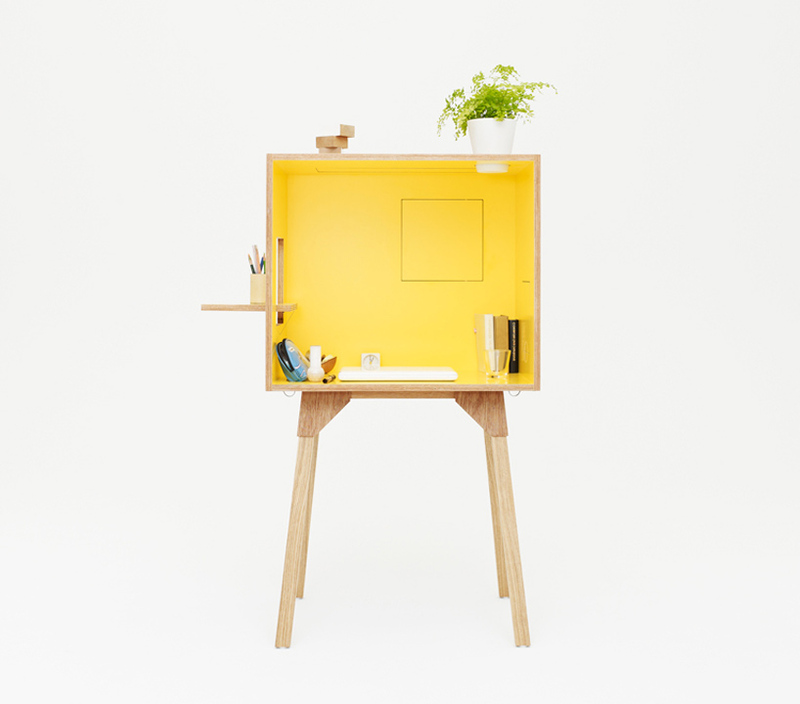 There’s even a skylight on the desk, giving you the option to expand the space as desired. 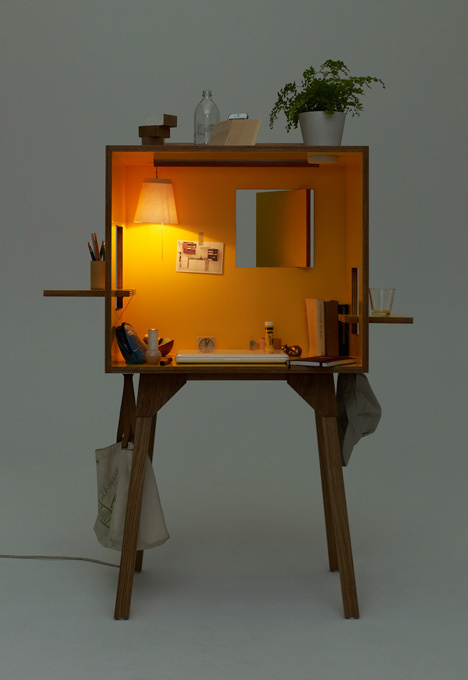 In many ways, the Koloro Desk looks and feels like a doll house since it includes a pendant lamp. 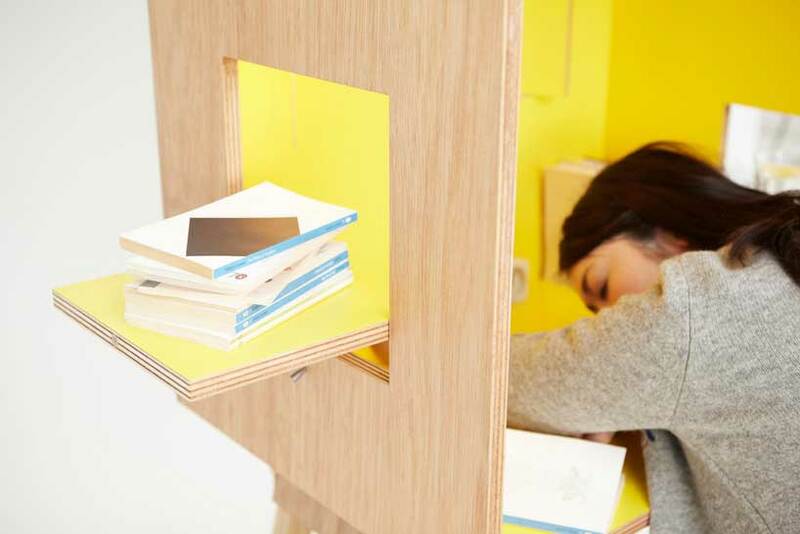 Closing the windows, increases the user’s privacy allowing space for work and even catch 40 winks! 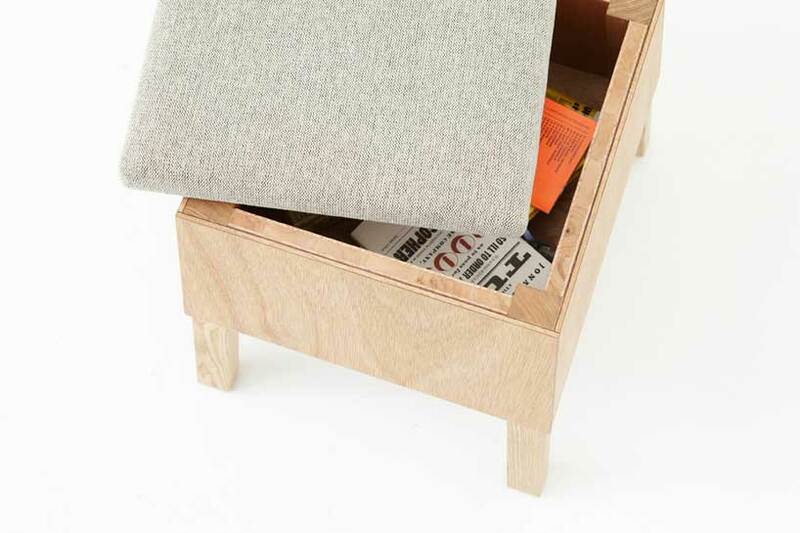 Accompanying the Koloro Desk is the Koloro Stool. Shaped like a vaulting horse, it has a secret space beneath the seat allowing further storage. Founded in 2004 by Koichi Suzuno and Shinya Kamuro, award winning Torafu Architects Inc. based their work on architectural thinking. Their projects range from architectural design to interior design for shops, exhibition space design, product design, spatial installations and film making. 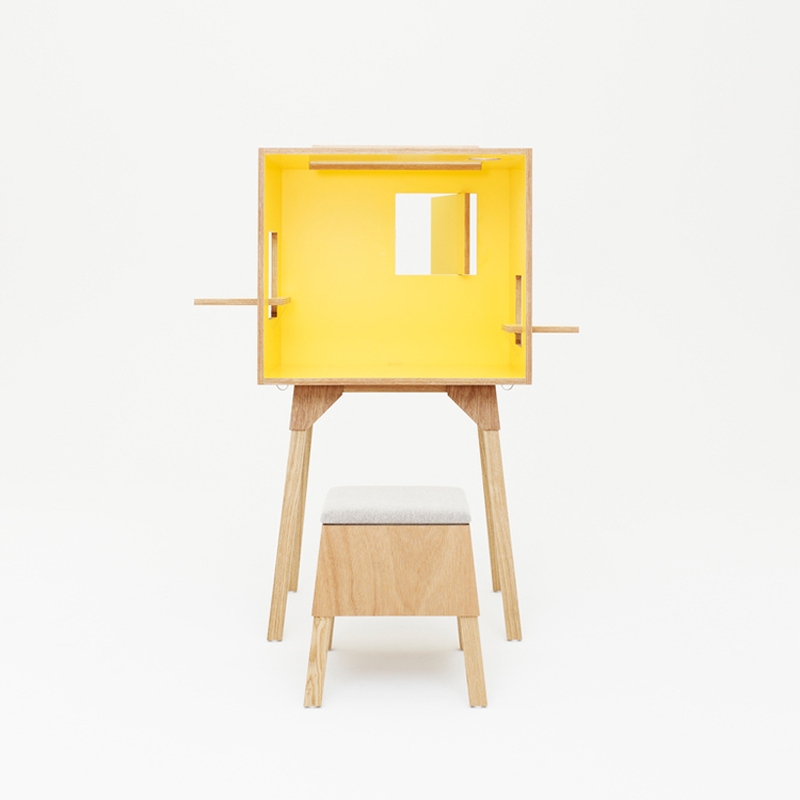 and "Light Loom (Canon Milano Salone 2011)" which was awarded the Grand Prize of the Elita Design Award. 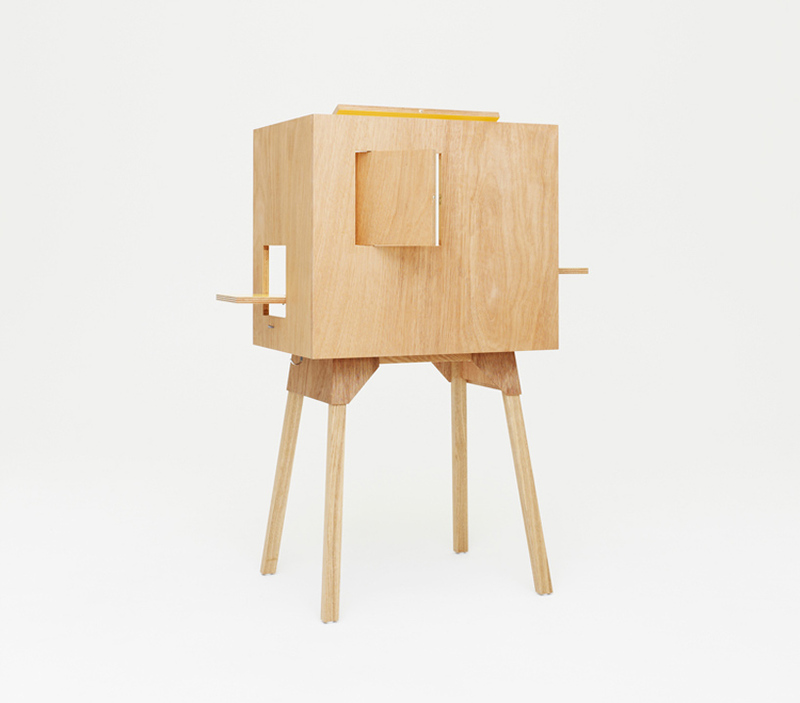 2011 saw the publication of the 'airvase book' and 'TORAFU ARCHITECTS 2004-2011 Idea + Process'.